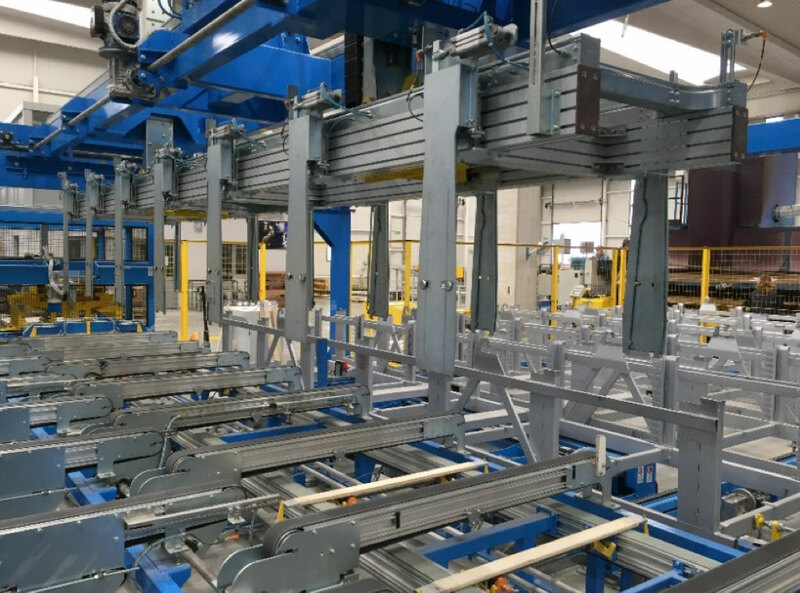 Presezzi Extrusion is able to design and construct all the machinery required after the cut to length table in order to automate the handling of the baskets of profiles before and after the ageing treatment. Layer separation belts - for separating profiles to be scrapped. Durable long life belts resistant to cuts and gashes from sharp edged profiles. 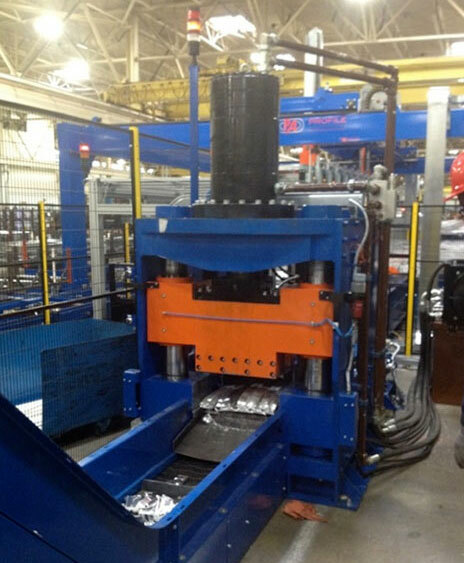 Hydraulic scrap shears up to 180 ton. Crush rollers on the entry side to prevent the arching of profiles. Batching belts to evacuate the layers of profiles from the cut to length table. Spacer distributor machines - aluminium or steel spacers. Design and supply of either aluminium or steel spacers and hi-tech coverings. Very precise positioning of the spacers in order to load the layers into the baskets. Sensors to detect the presence or absence of the spacers. Baskets specially designed by Presezzi Extrusion. Possibility to use or adapt existing baskets for automatic stacking. 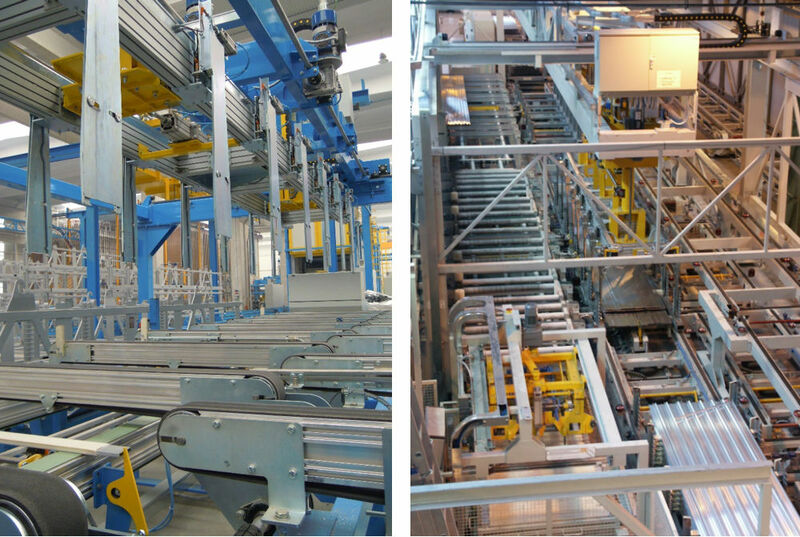 Chain conveyors driven by AC motors in fully automatic mode. 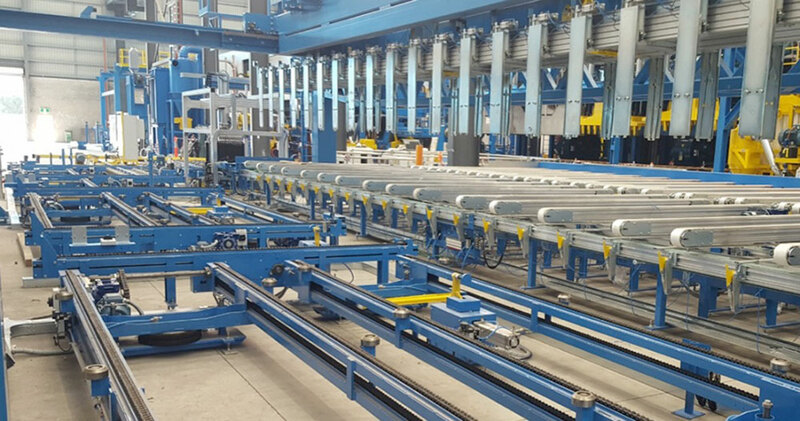 Automatic cranes or movable machines for stacking baskets in the ageing oven area.